The content processing pipeline failed to process the item. (Index was out of range. Must be non-negative and less than the size of the collection. Parameter name: index; SearchID = [GUID]) Note: the resolution is in the resolution section for those who cannot or refuse to read. What does this mean? Honestly initially it made no sense. So I learned a valuable lesson: I misguidedly spent the next 2 days trying the usual fixes like resetting the index, rebuilding the 2013 search components, and lastly what EVERYONE does: they fix it with a sledgehammer (in this case rebuilding the search service application). For many that are not aware, SSRS is excellent at displaying SharePoint list data. Whether in Native or SharePoint-Integrated mode, SSRS connects directly to a SharePoint site and will enumerate all the lists and libraries. 2. Add HTTP binding (with hostname if necessary) to the IIS site. The most important step is knowing how to trace while you are starting the service. This was an error in a PowerShell profile that was created for All Users. Open Windows ExplorerNavigate to: C:\Windows\System32\WindowsPowerShell\v1.0Remove any file like: profile.ps1The profile is used by the UPS Sync Provisioning and a custom profile will cause a command to fail. www.zimmergren.net | www.sharepointdiscussions.com | www.pointbird.com | @zimmergren Introduction Some of my students, clients and community peers have asked about my favorite tools for working with SharePoint. So with that in mind, I quickly noted down some of my favorite tools that every developer should have in their toolbox. I’ve written posts about this before but as times and technology moves forward, new tools and techniques are evolving. I may post about the tools I recommend for IT-Pros at some point, but right now let’s stay on track with the dev-focus. 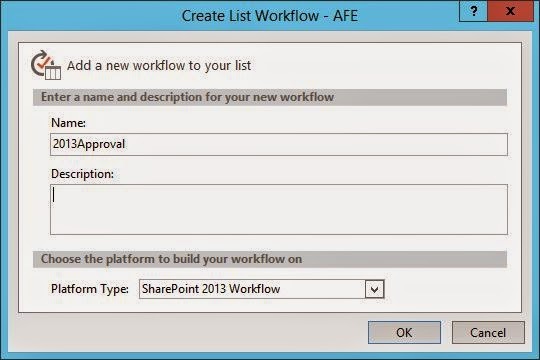 Adding Comments to a SharePoint 2013 Approval Workflow I needed the ability to capture comments from Approval Tasks in a workflow. This has changed greatly in 2013 workflows. Everything is more modular and as such must be built somewhat from scratch.